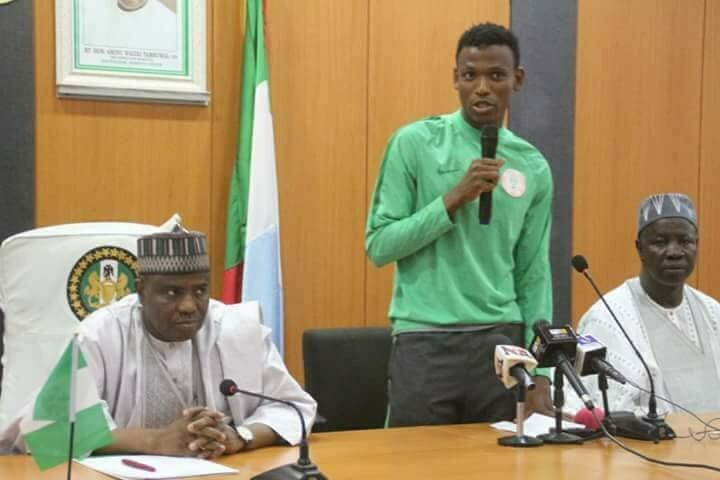 The Sokoto state government has donated a hajj seat and a four bedroom house complex to Super Eagles player, Abdullahl Shehu, who is an indigene of the state. 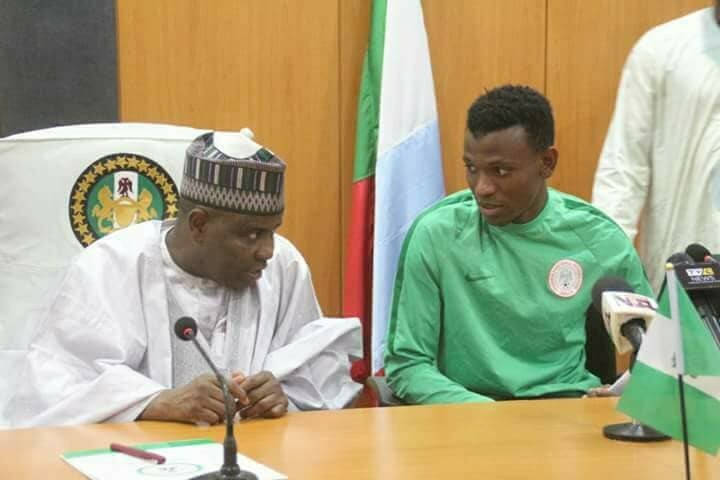 The state governor, Aminu Tambuwal, announced the donation while receiving Shehu who participated in the ongoing FIFA World Cup in Russia, at the state government House Sokoto. 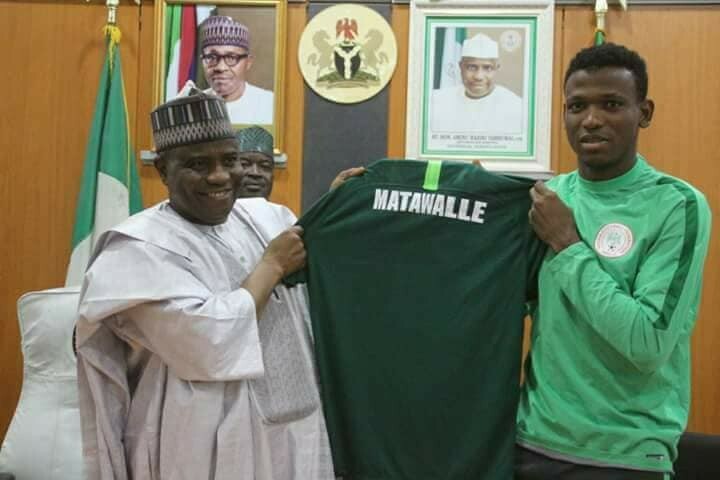 Governor Tambuwal directed the state commissioner for lands and housing to identify a suitable land to be allocated to Abdullahi shehu for the construction of sports complex to be named after the footballer. He told the football star that the state is proud of him and assured him of Government’s continuous support and encouragement. 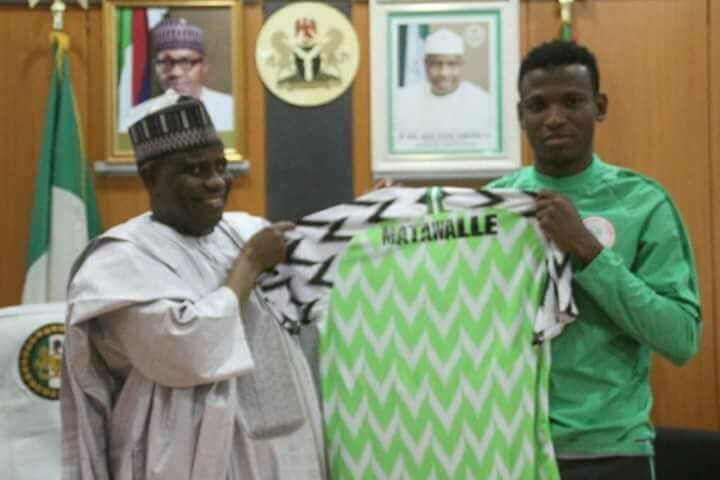 In his remarks, Shehu thanked the state governor for the gifts given to him and also presented a Super Eagles jerseys to the state governor.